Bring Competition to Your Party! 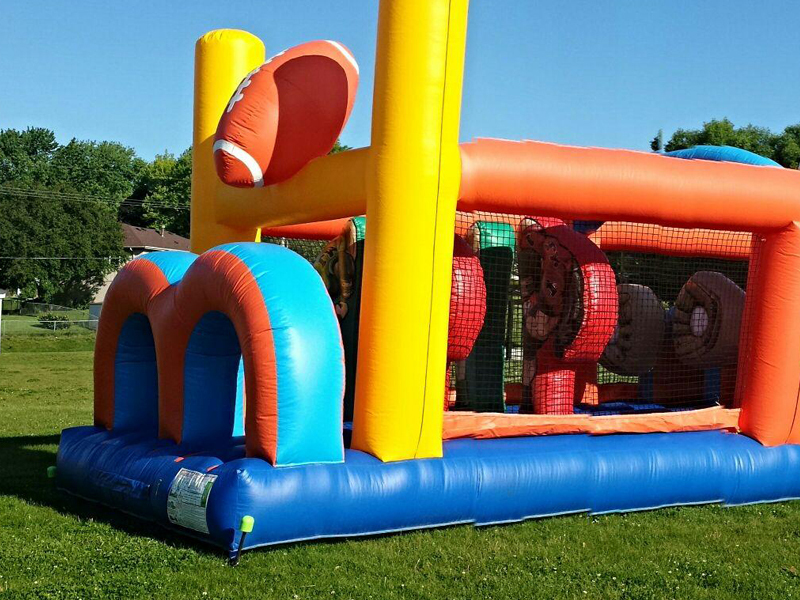 Our All Star Sports obstacle course is sure to be a smash hit at your party! Runners take their marks and dive though tunnels, dodge inflated pop-ups, and scramble up to the slide! It’s a mad dash from start to finish! Who will be victorious? Watch the champions come down the HUGE slides to see!! Sure to make it an event to remember! 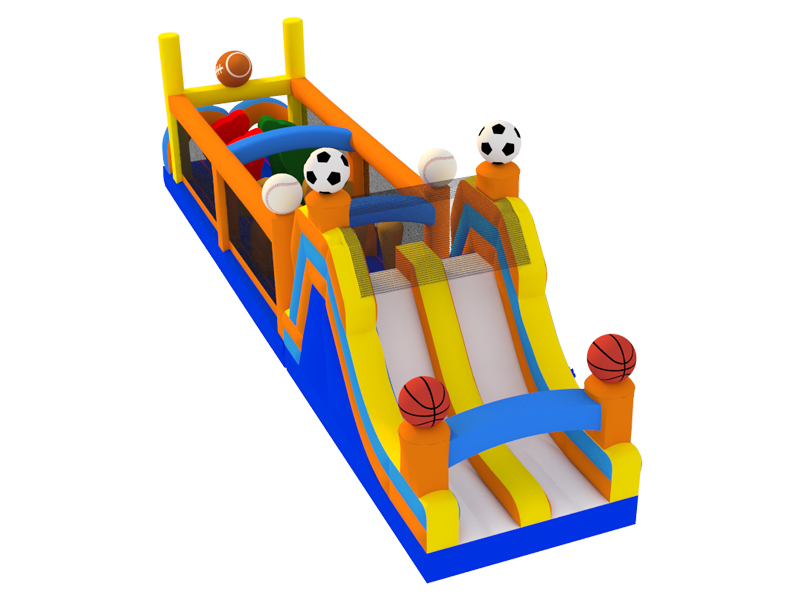 You may want to add the SPORTS COMBO, or the BOUNCER for added entertainment for the younger crowd. Our COTTON CANDY machine and POPCORN MAKER are two great ways to amp up the fun factor at your event! Even though Fun Services is a business built on fun, we always take safety seriously. Fun Services staff is insured and licensed. So, you can expect to receive quality, professional service with every rental from Fun Services of Nebraska and Iowa.